Cows were keenly bid for and many more could have been sold to advantage, with more meat cows on offer and dearer on the week. Simmental cows topped the sale at 139p from TJC Bradbury, Satchells, who’s load of Non-FA cows averaged £1,019.82. Shorthorn cows to 124p and 122p from Pilmuir. Simmental 139p, 133p (x2) Satchells. Beef Shorthorn 124p, 122p Pilmuir. Simmental £1,090, £1,056, £944 Satchells. Beef Shorthorn £908, £868 Pilmuir. Another good entry of 4,591 prime hoggs were forward to the usual ring of buyers, with trade dearest of the season so far with the overall sale average over 200ppk. All weight ranges keenly sought after apart from under 32kg. best quality hoggs remined at extreme high rates and were well short of requirements. The sale topped at 288p for a pen of tremendous Beltex hoggs from A & A Little, Hollands, Penton and for two outstanding pens of Texel ewe hoggs from Muircleugh Partners, Lauder, who also achieved the day’s top prices per head peaking at £146 and £144. Overall sale average 203.1p (SQQ 203.8p). Beltex 288p Hollands, 286p Oakwood, 282p Hollands, 280p Wintermuir, 274p Oakwood, 271p Station Yard, 270p Heathery Hall, 263p Hollands, 261p Oakwood, 260p Wham Head, 256p Hermitage, 255p Waterside & Shankcastle, 254p High Greenhill & Waterside, 253p High Greenhill & Foulshield, 249p Hollands, 246p Wham Head, 244p Uppercleuch, Wham Head & Tinnishall, 239p Wham Head, 238p Langdyke Cottage, 237p Shankcastle, 234p High Greenhill. Texel 288p Muircleugh, 286p, 282p Uppercleuch, 265p Muircleugh, 263p Allanshaws, 262p Allfornaught, 256p Woodfoot, 255p Byreburnside, 254p Allfornaught, & Hermitage, 251p Allanshaws & Wood Farm, 249p, 248p, 244p Uppercleuch, 240p Roses Bower, Lyonpark & Station Yard, 239p Kinknockie & Broadlea Cottage, 238p Cadgillhead & High Stenries, 237p Heathery Hall, 236p Leanach & Howard House, 235p Brisco Meadow. Suffolk 269p Woodfoot, 220p Sceugh Dyke, 218p Broomhill, 216p Kinknockie, 214p Archerbeck, 213p Archerbeck, 210p Brisco Meadows, West Scales, Howford & Kinknockie, 208p Howhill, Middle Shipley & Land, 207p High Crubasdale, 206p Land, 205p Camelford, Mackilston, Clonrae & Archerbeck. Charollais 233p Lyonpark, 214p Tinnishall, 212p Lyonpark, 205p Dyke & Knowe, 204p Whins. North Country Cheviot 216p, 213p Sceugh Dyke, 212p High Crubasdale, 210p Longburgh Fauld, 204p North Synton, 203p Heathery Hall, 200p Brockhouse. Cross 214p Cara View & Mackilston, 207p The Nook, 205p Nether Albie, 204p Mackilston & Kirkhouse, 202p Leanach & Nunscleugh, 200p Yewtree, Kirkhaugh & Woodfoot. Cheviot 214p Kirkbride, 213p Sundhope, 210p Catslackburn & Longburgh Fauld, 209p Catslackburn, 208p Woodfoot, 207p, 206p, 203p Catslackburn, 203p Rowanburnfoot, 200p Woodfoot, Yett & Bloch. Blackface 205p Barlaes & Peela Hill, 203p Maryholm, 200p Barlaes, Mackilston & Maryholm, 197p West Scales, 195p Cowburnrigg, 194p Drannandow & Peela Hill, 191p Kildaloig, 190p Rowanburnfoot & Roses Bower. Easycare 199p, 195p Easter Denhead. Oxford 198p Guards, 197p, 190p Dyke. Swaledale 186p Wham Head, 182p Burn House, 176p Hazelgill, 172p Longlea. Texel £146, £144, £118 Muircleugh, £118 Allanshaws, £116 New Cottage & Uppercleuch, £114 Dinnans, £113 Lyonpark, £112 Howard House, £111 Shankcastle & Cadgillhead, £110 Dinnans, Barnyards, East Raffles, Crailloch, Allfornaught, North Synton & Streethead. £109 Middle Shipley, Lyonpark, Allanshaws & Brayshaw, £108 Wintermuir & Allanshaws, £107 Auchengray, Lyonpark & Leaona Villa. Beltex £118 Hollands, £114 Station Yard, £113, £112 Hollands, £112 Wintermuir, £110 Waterside, £108 Heathery Hall, £107 Oakwood & Hollands, £106 Oakwood, £105 Wham Head, £104 Waterside, Wham Head & Oakwood, £102 Shankcastle, £100 Hermitage. Suffolk £111 Broomhill, £110 Lyonpark & Sceugh Dyke, £109 Dyke, £108 Cowburnrigg, £104 Allanshaws, £102 Middle Shipley, £101 Dyke & Knowe, £98 Dyke, £97 The Land & Woodfoot, £95.50 The Land, £93.50 Sceugh Dyke, £92 Archerbeck, £90 Clonrae & East Murkle. Charollais £110, £100 Lyonpark, £92 Whins & Tinnishall. North Country Cheviot £109 Allanshaws, £102 North Synton, £101.50 Sceugh Dyke, £92 Sundhope, £90 Brockhouse. Cheviot £107 Crailloch, £96 Catslackburn, £90 Yett, £88 Catslackburn & Longburgh Fauld, £85.50 Kirkbride, £85 Catslackburn, £82 Drycleuchlea, £81 Catslackburn, £80 Kirkbride. Cross £104 Mackilston, £100 Kirkhouse, £99 Cowburnrigg, £94 Mackilston, £92 Cara View, £91 Newtown, £89 Leanach, £88 Yewtree & Nether Albie, £87 Archerbeck, £86.50 The Nook, £86 Longlea, £85 Farlam Hill & The Nook. Oxford £97 Dyke, £85 Guards. Blackface £90 Peela Hill & Orchard Mains, £89 Kirksteads, £88 Milnmark, £87 Dryhope, £86 Wanwood Hill, £85 Catslackburn, £84 Cowburnrigg, Kildalloig & Mackilston, £80 Catslackburn. Swaledale £85, £80 Burn House. A much larger show of 5,098 cast ewes and rams were forward to the usual ring of buyers, all classes similar on the week with the heaviest, best ewes short of requirements. Best Texel ewes remained at extreme high rates with rams easier. 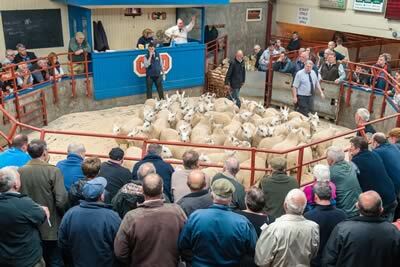 Sale topped at £156 for wonderful Texel ewes from Muircleugh Partners, Lauder & A&H McColm, Crailloch, Newton Stewart. Hill ewes to £71 for a pen of Blackface ewes from Messrs Forster, West Nubbock, Hexham. Rams to £120 for Texels from Muircleugh. Texel £156 Muirlceugh & Crailloch, £155 Dinnans, £152 Craollich, £150 Bowsden Moor & Allanshaws, £148 Middle Farm, £147 Muircleugh, £145 Bowsden Moor & Heatherglen, £144 Beckfoot, Latheron Wheel & Barnyards, £140 Chaseside, Allanshaws & Middle Farm, £138 East Greenridge & Viewley, £137 Wood Farm, £135 Heathery Hall, £134 High Wood, £132 Dotland Park, Snade & Viewley, £131 Beckfoot, £130 Middle Farm, £129 Snade, £128 Chaseside, The Hagg & Heatherglen. Beltex £142 Yewtree, £128 Wood Farm & Carstairs Mains, £116 Castlewigg, £112 Snade, £110 Bowsden Moor & Lurgan, £108 Waterside, £106 Snade. Charollais £142, £128 Beckfoot, £126 Viewley, £110 Chaseside, £108 Keith, £107 Paddockhole. Suffolk £122 Bowsden Moor, £120 Beckfoot, £116 Burray & Middlesteads, £114, £113 Chaseside, £113 Viewley, £111 Beckfoot, £110 Bowsden Moor, £109 Beckfoot & Guards, £105 East Mill Hills, £104 Westerton Cottage, Viewley & Chaseside, £102 Guardsmill & Muircleugh, £100 Beckfoot. Blue Faced Leicester £104 Kirksteads, £90 Hollands, £88 Wanwood Hill & Orchard Mains, £87 Barlaes. North Country Cheviot £98 Fairview, Dalmakethar & Allanshaws, £96 Burray & Dalmakethar, £91 Allanshaws & Brockhouse, £90 Carruthers. Cheviot Mule £94, £90 Muircleugh, £84 Nettling Flatt, £83 Strawfrank. Lleyn £88 Dalmakethar, £80 Bowsden Moor. Cross £85 Cowburnrigg, £82 Yewtree, £80 Stenries View & Townhead, £79 West Nubbock & Dinnans, £78 East Mill Hills, £77 Streethead, Staingills & High Wood, £76 Paddockhole, Elmbank & Leithanhall, £75 Easterfodderlie, Broomhills, Wintermuir & Kirkhill, £74 Threepwood, Gelston Castle & Middlesteads. Blackface £71 West Nubbock, £70 High Staward, £67 Cowburnrigg, £65 Broomhills, £64 Kirksteads & Viewley, £59 Park Nook. £58 West Nubbock & Barnshangan, £56 Laingshill & The Hagg, £54 High Staward, £53 Walton Park, Wanwood Hill & Eastside, £52 Millriggs, Troloss & Maidencots, £51 Wintermuir, £50 Barnshangan. Cheviot £70 Wintermuir, £68 Potholm, £66 Maidencots, £62 Potholm & Station Yard, £59 Crailloch, £57 Skelfhill, £56 Eldinhope, £55 Douglas Hall, £54 Catslackburn, £52 Douglas Hall, £50 Binks & Eldinhope. 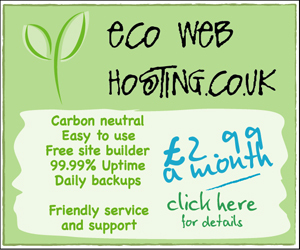 Easycare £49 Staingills, £48 Easter Denhead. Swaledale £47 Gate Ghyll &Yewtree, £47, £39, £38 East Greenridge, £35 Elmbank. Texel £120 Muircleugh, £114 Waltonwoodhead, £110 Latheron Wheel Mains & Longhurst, £109 Little Westcott, £108 Low Hallburn, £106 Beckfoot, £102 Viewley, £100 Dinnans, Waltonwoodhead & Crailloch. Suffolk £109 Gnatham Barton, £108 Threepwood, £100 Carstair Mains, £98 Howford, £92 Guardsmill. Charollais £108 Chaseside, £98 Streethead. 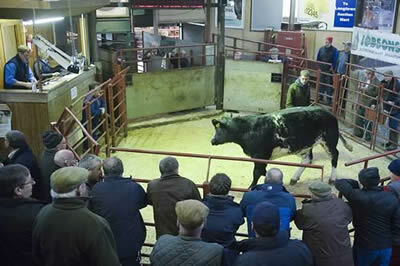 Blue Faced Leicester £100 Barlaes, £98, £90 West Nubbock. North Country Cheviot £98 Allanshaws, £96 Little Galla. Blackface £77 Peel, £73 Eastside, £70 Laidlawsteel.